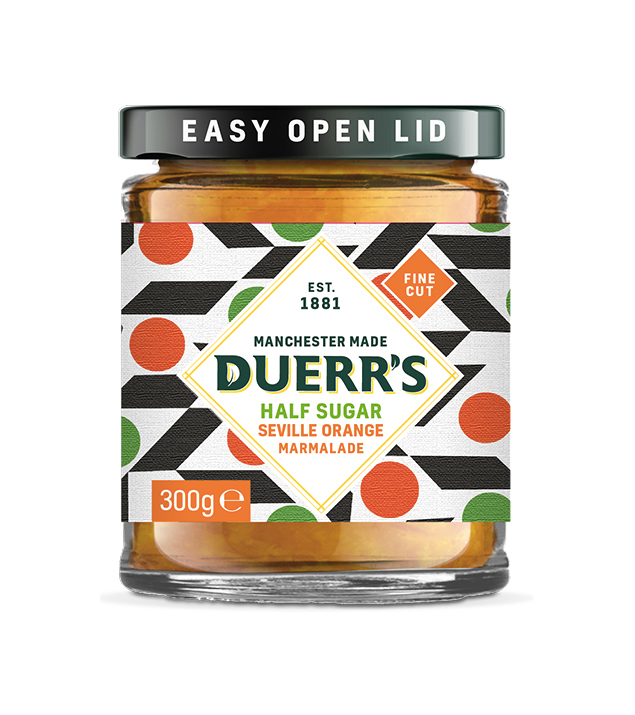 This marmalade provides a mellow yet zesty orange flavour, with reduced sugar for health-conscious shoppers. Printmaker and Manchester resident Alison Greyer is the artist behind this label. The clean, graphic design comes from her exploration of shapes and lines including rhombus, the theme here.